Because of issues with voter fraud, the process for registering to vote has changed from one stage to two stages. 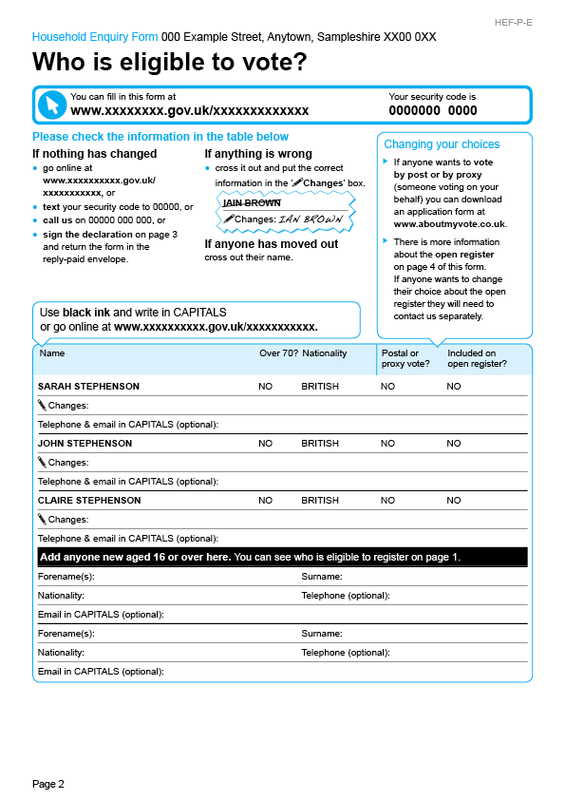 An individual must now register, rather than being registered as part of a household. 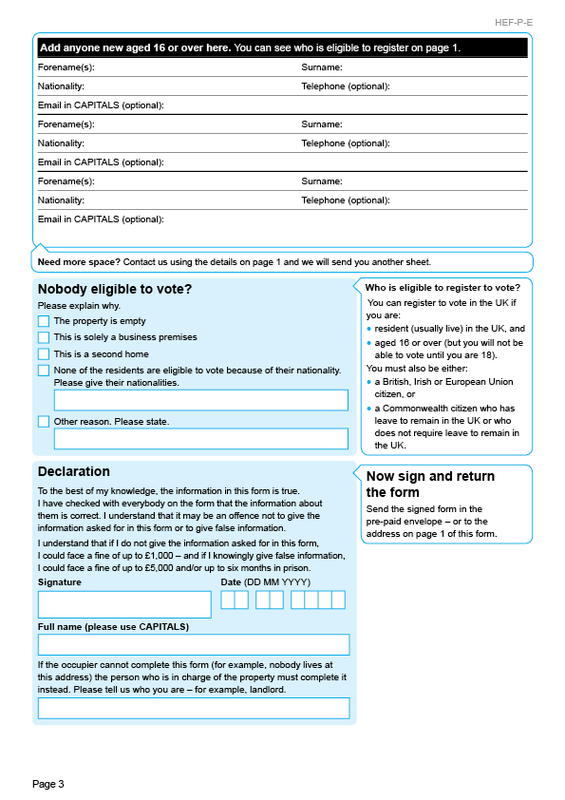 was easily adaptable for a number of other forms, such as overseas voters, armed forces voters etc. 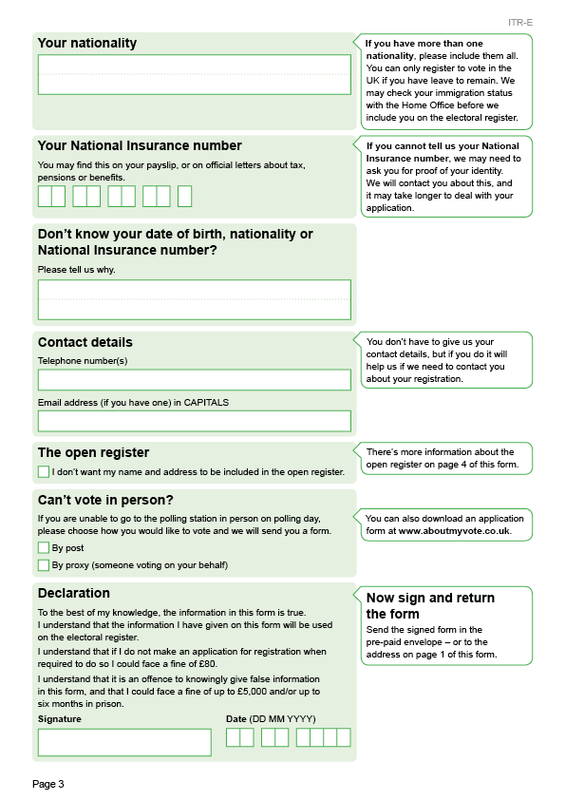 In the new process, a first form would be sent to the household to get details of who lives there, and a second form would be sent to each individual to confirm their details and their wish to register to vote. 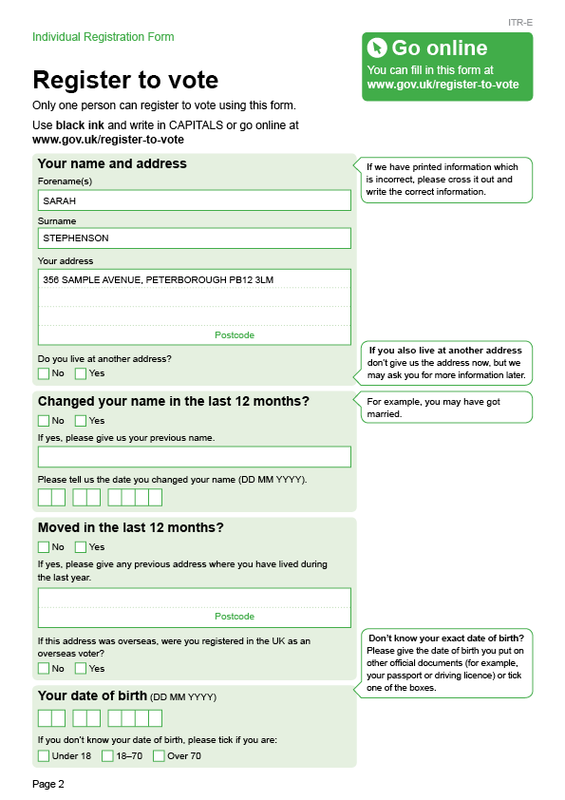 To match up to this new process forms needed to be developed, which would make these tasks as simple as possible. ← A need for ‘plain design guidelines’?